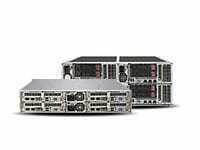 SAN JOSE, CA–(Marketwired – June 06, 2017) – iXsystems, the industry leader in storage and servers driven by Open Source, today announced the release of the TrueNAS X10. 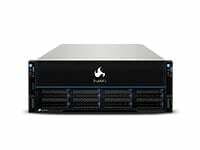 The TrueNAS X10 is a cost-effective enterprise storage solution that is designed to help small and midsized businesses modernize their storage infrastructures. For years, customers have struggled with their storage infrastructures. They have overbought costly enterprise-class storage or put off the purchase of enterprise-class storage due to its high cost. Companies unable to invest in enterprise-class storage are often forced to use legacy SAN/NAS systems, deploy consumer NAS systems, use direct access storage (DAS), or build their own software-defined storage (SDS) systems. 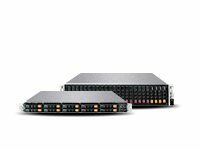 The TrueNAS X10 clears this barrier to entry by providing enterprise-class storage for SMBs and others that is challenging the Dell™ EMC™ VNXe, Dell™ EMC™ Unity, HPE™ MSA 2040, and NetApp™ FAS2600 series of products with its functionality and price point. 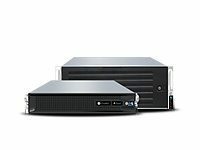 The TrueNAS X10 comes in a dense 2U form factor accommodating up to 12 disk drives. 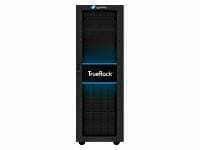 It enables you to reduce space, power and cooling costs and respond to ever-changing business requirements. It is optimized for SMBs, remote offices, and enterprises of all sizes. It lets you start small and grow to nearly 400 TB as your needs change. Come see the TrueNAS X10 in the iXsystems booth at the BSDCan conference in Ottawa, Canada on June 9-10, 2017. 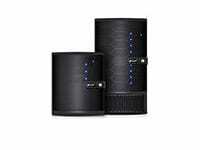 The TrueNAS X10 can be ordered today and will begin shipping in mid-July 2017. The standard lead time is three weeks for all TrueNAS systems. 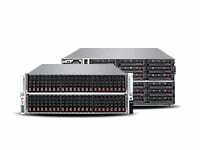 However, pre-built 20 TB, 60 TB, and 100 TB configurations of the TrueNAS X10 are available with a one week lead time.